With an increasingly mobile and diverse workforce that aspires to more autonomous working arrangements and digital platforms that make it easier to connect skills to services, the gig economy is on the rise. And it’s changing how we manage human capital—from sourcing and recruiting to engagement and retention. 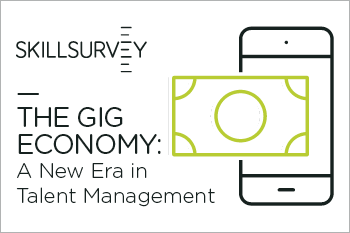 Download the whitepaper, ‘The Gig Economy: A New Era in Talent Management’ to learn more. Plus, discover how online reference checking can help you find the right talent for any project and match skills more precisely to open tasks, all while reducing time-to-fill.